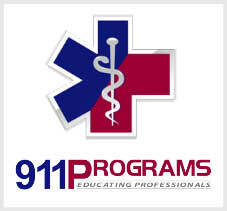 911Programs understandst that most EMS providers work long hours - often at more than one place of employment. Busy schedules such as these make it difficult if not impossible to attend refresher training. Beginning February 1, 2014, 911Programs is offering an "Anytime Refresher" (any time the office is open). We have EMS instructors on staff daily. If you need an EMT or EMT-Cardiac refresher, contact the office to set up appointments. At least 24 hours advance notice is required. Tuition payable by cash, check, money order, cashiers check, paypal, or credit card. Note: The current model for recertification of EMS licensure in Rhode Island is to follow the National Core Competency Program of the NREMT. This information is available on the NREMT website (www.nremt.org). In summary, EMTs must complete 40 hours of training in 3 content categories (20 hours of national-selected content, 10 hours of state/local - selected content, and 10 hours of individual-selected content). Advanced EMTs (AEMTs) must complete 50 hours (25 , 12.5, and 12.5 respectively). RI EMT-Cs must complete the AEMT portion then complete and ALS portion of approximately 12 hours. If you are interested in EMT Basic/Cardiac Refresher and are either unable to attend any of the current courses or there are none scheduled at this time, add your name to the waiting list.